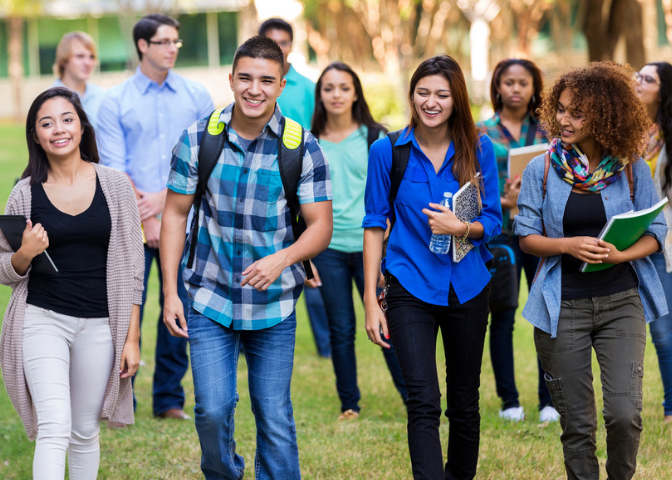 You know you want to bring your brand to college campuses but you don’t know where to start. Research is key—especially when it comes to selecting the right college campuses for your campus rep programs. Smaller universities will garner different reach than larger universities, and social campuses are likely to be more receptive to certain brands than hyper academic campuses. Consider the five following tips to ensure that your campus rep programs successfully increase awareness and engagement with your brand. The college campuses involved should be strategically located near key markets and audiences. Campus rep programs influence shopping behavior and can greatly increase in-store foot traffic for product-focused brands or trial for service-focused brands. Having a nearby store in a well-known location, ideally less than 10 miles away from campus, will ensure that students can easily walk, drive, or take advantage of public transportation to further engage with your brand. If your brand is digitally oriented with a focus on trial or e-comm sales, campus reps can also strategize tactics to influence their peers on campus to shop online. Further, campaigns that are digitally focused can be easily scaled, as your brand can greatly expand the number of college campuses taken into consideration. Location is key when considering not only the campus’ proximity to key markets, but also the potential influence a campus’ geographic region can have on the relevance and need for your product or service. 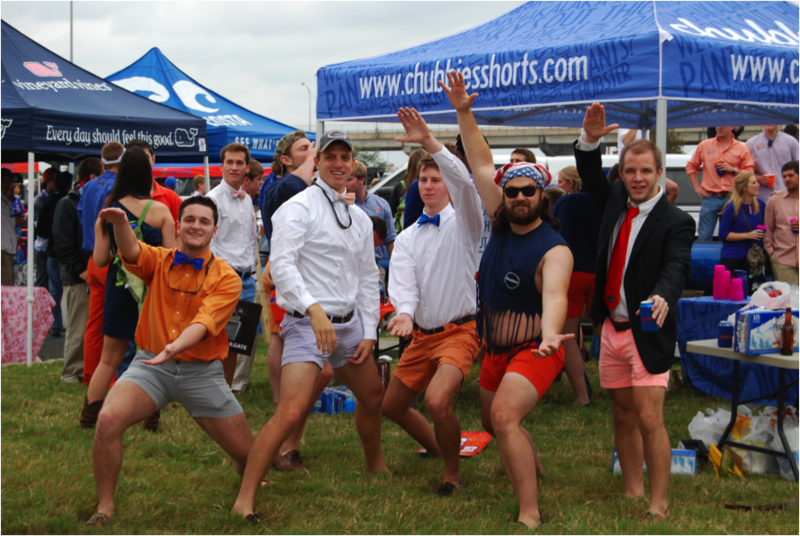 For example, a swimwear brand may be better received by students attending southern campuses like the University of Miami, rather than northern campuses like Syracuse University. Similarly, an urban campus such as NYU may be more receptive to a high profile fashion brand than a rural campus like the University of Idaho. Ideal campus reps will embody your brand persona and be enthusiastic about your brand’s mission. Universities with a larger population size will allow you to recruit a larger number of potential campus reps, while smaller universities will oftentimes allow you to select from a more niche group of students. Whether the school is small or large, you’ll want to identify precise selection criteria to ensure that your campus reps are outgoing influencers and passionate about extending the reach of your brand. School size is important to keep in mind when considering the potential reach of your campus rep programs. Universities with larger population sizes will allow campus reps to easily and more efficiently target a large number of students. However, if strategic, selecting colleges with smaller populations can increase the chances that you engage students with a pre-developed interest in your field of service. School spirit, academic rigor, and sports culture all influence which campuses should be involved in your campus rep programs. Students on social campuses tend to prioritize leading balanced collegiate lives and enjoy attending sporting events, parties, and school-specific festivities. For this reason, social and lifestyle brands may be more inclined to have a presence on these campuses. Students attending hyper academic institutions, on the other hand, tend to prioritize their studies and may be more inclined to take advantage of practical services and study tools. College students tend to be highly involved in on-campus organizations. While there are typically hundreds of active clubs on college campuses, it’s most important to have a presence in organizations that are relevant to your brand. For example, retail brands will want to establish a presence on college campuses with a high number of on-campus fashion organizations (e.g. Retail Studies Organization, etc. ), as students within these clubs will more than likely have a pre-developed interest in your brand or field. You’ll also want to consider whether a university has other active large organizations such as Dance Marathon, PRSSA (Public Relations Society of America), or AMA (American Marketing Association), as these clubs tends to have large numbers of students involved. Presidents, Social Chairs, and PR Chairs of these organizations can easily spread brand-related information to many students at once and directly influence brand sentiment and perception. For this reason, you’ll want to consider these students first to serve as your campus reps, or for your campus reps to reach out to them for a potential partnership. Your program’s reach can be further amplified (and more efficient) on campuses that offer a plethora of Greek organizations, as sororities and fraternities tend to have between 50-250 students involved. Leaders of these organizations have major connections, which can gain you access to impactful partnerships, popular venues on campus, and well-attended events. Now that you’re equipped with school selection criteria, you’ll want to begin researching the college campuses that fit the mold. While strategy is involved, it’s also a game of trial and error. Start small, and your campus rep programs are bound to expand and achieve profitable results! If you’re looking to engage students on campus, we’re here to help. At YMC, we’ve been connecting brands with 15- to 29-year-old consumers for two decades—we’d be happy to share our wealth of knowledge with you. Contact us today! Sponsoring intramural sports is a smart marketing investment. Sponsoring teams and events can lead to increased sales, heightened brand awareness, and customer loyalty. And sponsorship is not just reserved for large brands—small and local shops can also use it as a marketing tactic to improve their standing in the community. The best place to start? Intramural sports. Intramural sports are a college student’s outlet to relieving stress and creating memories on campus. 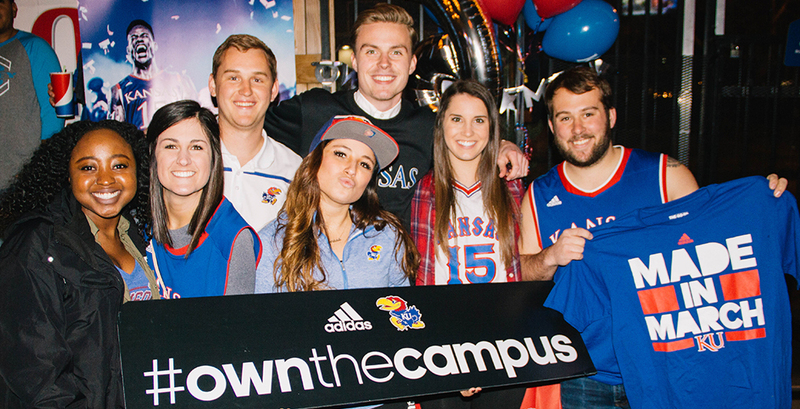 For your brand, they’re the gateway into the collegiate social scene. From branding opportunities to social media curation, the options for promoting your company are endless. 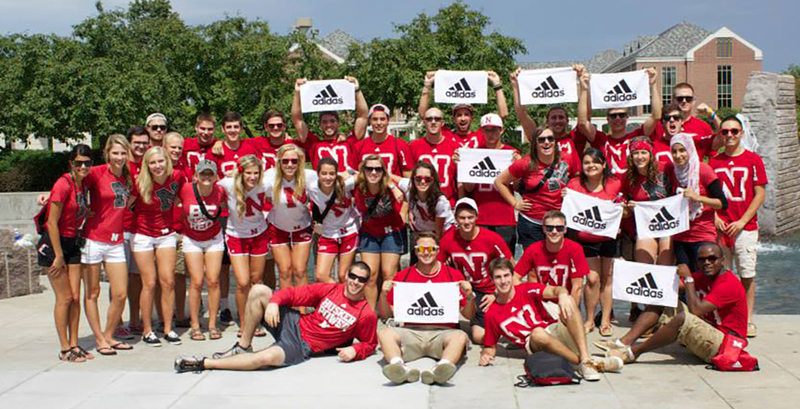 Below are the top four reasons why we love intramural sport sponsorships. Students want to connect with their peers, be active, and have fun. Of the 75% of college students who utilize campus recreation facilities, 80% of them participate in intramural programs—that’s a lot of students! By sponsoring intramural sports, your brand is able to authentically connect with students on a large scale. If you want to have the widest reach, consider sponsoring sports with large teams, like soccer, basketball, and volleyball. If it’s not moving, put a logo on. The branding possibilities are seemingly endless when it comes to intramural sports. If you’re like me, one of your favorite parts of intramural sports is the uniform. Most participants will wear their tees outside of the league, and if you’ve branded them, this will increase your brand’s exposure on campus. Budget dependent, you can supply the teams with cotton or Dri-FIT tee shirts. In addition to uniforms, every sport has its own necessary equipment. More equipment, means more items to brand! Depending on how much you’re able to spend, you can brand as little or as many items as you would like. Even the smallest amount of branding can have an impact. For example, if you were to sponsor a volleyball league, you have the option to brand the tape of the net, game balls, poles, pole mats, referee stands, and referee flags. Providing low cost promo items that are relevant to the sport is another great way to get not only the players but also the spectators involved with the brand! Our favorites include water bottles, sunglasses, hats, and sweatbands. College students love to share their experiences on social media. Whether it’s the opening game, playoffs, or epic sport fails, students are constantly posting to social during intramural sports. Your branded uniforms, equipment, and promo items increase your chance of being featured in these social posts. Creating a branded hashtag will also increase your brand’s exposure and makes it easy to track what students are posting to social. And let students know you want their content! If students know your brand will share their content, they have a bigger incentive to post and share the brand experience and drive awareness. If you’re looking to make your brand feel more fun and accessible to college students, intramural sports are the way to go. This is a great way to integrate brand into authentic lifestyle moments and help foster student relationships on campus. Want to bring your brand to campus? Finding the right partner is key to your success. Here at YMC, we’ve been helping brands connect with 15- to 29-year-old consumers for two decades—we’d be happy to share our wealth of knowledge with you. Contact us today!